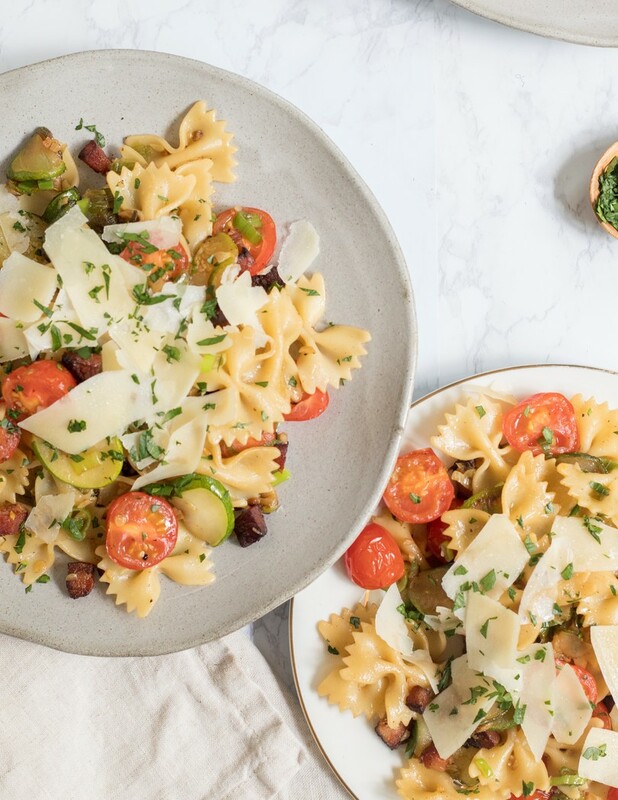 Bowties are the most fancy of all pasta shapes, and in this dish come dressed to the nines with juicy tomatoes, summer squash and crispy bacon. 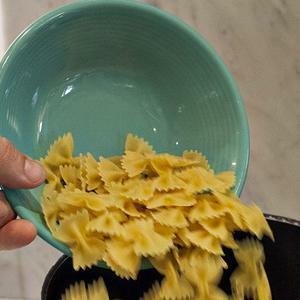 Every drop of that rendered bacon fat is put to good use; any not absorbed into your sautéed veggies coats the pasta in a decadent veil of rich, smoky flavor as it’s all tossed together in the last step. 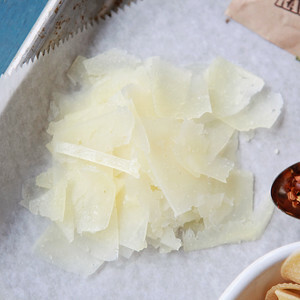 Shaved Parmesan and fresh parsley makes for a classic finish and the perfect accessory to tie the dish together. Suggested beer pairing Hawaiian-Themed Beer Whenever a dish features bacon, and we have a Hawaiian-themed beer available, it just screams perfect pairing. With this pasta, bacon and sweet summer squash dish, we suggest Highland Brewing Hawaiian Lounge Juice. Lounge Juice features passionfruit, mango, pineapple flavors along with citrus hops. Suggested wine pairing Grenache - Santa Barbara County, CA Rhone varietals are inherently smoky and peppery, and will resonate well with the bacon (the predominant flavor in this dish). It’s also ripe, opulent, and full-bodied, ready to take on the weight of the bacon and the grease that imparts its flavor to the vegetables. 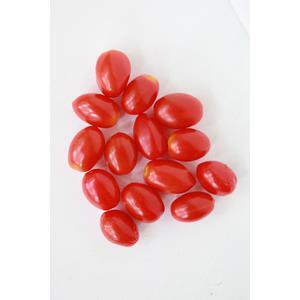 • Halve squash lengthwise; cut into 1/2-inch slices. • Reserve 1/3 cup cooking liquid. • Place a sauté pan over medium-high heat. When pan is hot, add bacon. Cook, stirring occasionally, until bacon is browned and crisp, 3-4 minutes. 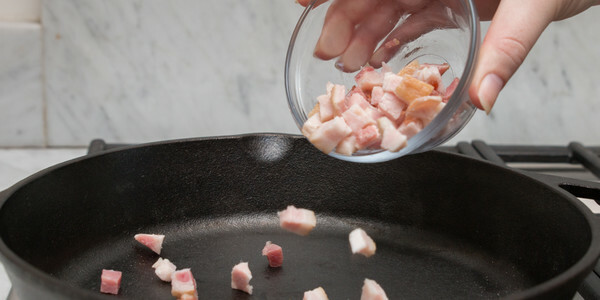 • Using a slotted spoon, transfer bacon to a bowl. Leave grease in the pan. 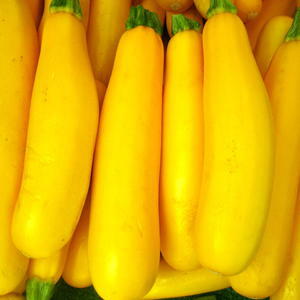 • Add squash in a single layer. Cook without disturbing until squash is lightly browned on bottom, 1-2 minutes. • Add garlic and onion whites. Cook, stirring occasionally, until squash is just tender, about 2 minutes. 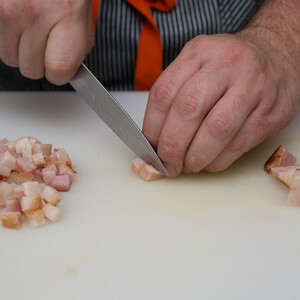 Stir in bacon, tomatoes, 1/2 teaspoon black pepper and 1/4 teaspoon kosher salt. Fold in pasta, reserved cooking liquid and onion greens. 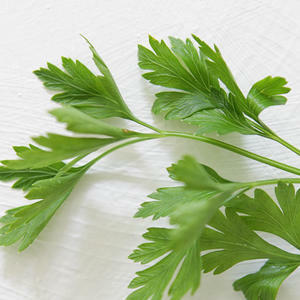 • Garnish with Parmesan and parsley. Enjoy!